We live and breathe technology and use monitors on a daily basis. After testing a wide variety of panels, we're able to recommend the very best in the 1440p segment. Using 1440p (QHD) displays with Windows 10 allows you to be far more productive than with older 1080p (Full HD) monitors. The Dell UltraSharp U2719D is a stunning display with fantastic color reproduction and is our top pick. This Dell monitor is not only an affordable display, but also a solid workhorse thanks to its 2560x1440 resolution. Match this with reliable color reproduction, thin bezel, IPS technology, attractive aesthetics, good connectivity, and VESA mount support, and you have a screen that's well worth investing in. Who should buy this monitor? 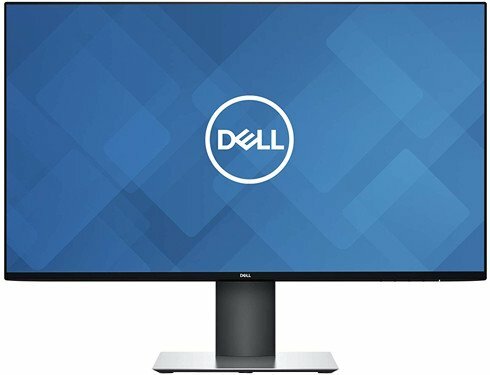 PC owners who have grown tired of being restricted to the resolution of 1920x1080 should consider this monitor, as the Dell U2719D is an excellent upgrade. Not only do you have great colors to work with, but it's also quite the capable panel for some gaming too. 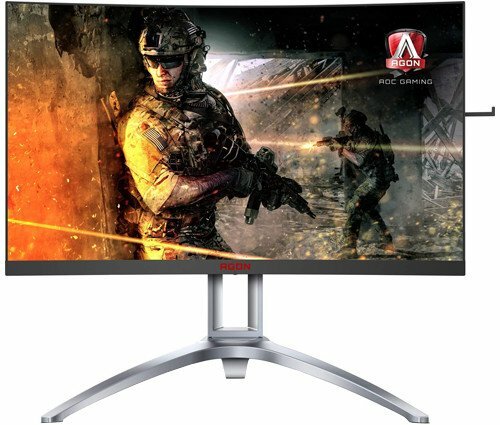 Is it a good time to buy this monitor? Newer monitor models are released every few years though certain lines and can go without a new release for many years, depending on demand and newer technologies being available. This is a great purchase and is part of the latest iteration of 27-inch panels from Dell. There are a number of trustworthy 1440p panels available, depending on what you're after. Some screens support AMD FreeSync and others go with NVIDIA's G-SYNC, but our best option here is a display that can be used for both work and play, all without destroying the budget on a new PC build. The U2719D has been around for some time but still holds up against the competition and newer models. Dell didn't add any cool features but instead focused on making a fine display. 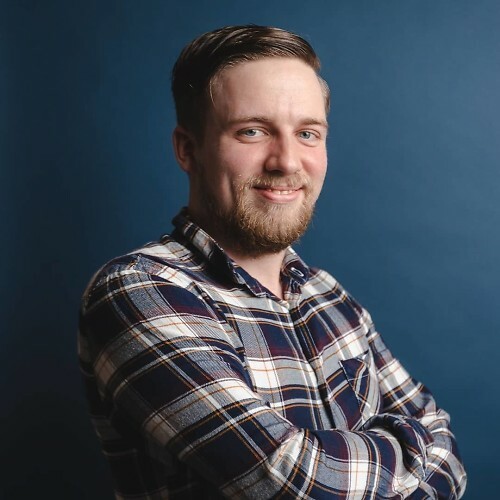 Unfortunately, because it's priced aggressively, Dell has not included support for synchronization technologies, but that's fine when you're not looking to pay out much for said features that can increase pricing considerably. The U2719D aesthetics are clean and pleasing to look at, ideal for something you'll be staring at for hours at a time. The stand itself is more than adequate to support the weight of the monitor, and the option for VESA mounting ensures you're able to fit the display into the work environment. When it comes to the visual experience, Dell has opted for an IPS panel and everything works to a high standard even prior to calibration. For connectivity, the U2719D offers a single HDMI (1.4) and two DisplayPort (version 1.4/MST) so you'll be able to not only hook up a Windows PC (or Mac, depending on which team you support), but also a game console. There are even five USB 3.0 ports to connect a bunch of devices. Dell's UltraSharp U2719D is a great screen and is one we'd recommend to anyone looking to enter the QHD 1440p marketplace. Though should you be on the hunt for something with a specific feature, be sure to check out our other recommendations. BenQ offers some premium displays and this 27-inch model is a stunning option for anyone looking for a new 1440p display. The QHD resolution combined with USB Type-C ports allows you to daisy-chain up to four of these displays for extended screen real estate. If all that wasn't enough already, BenQ also added in darkroom, CAD/cam, animation display modes for the more creative owners, and 100% sRGB and Rec.709 color space support so you know content displayed is going to look sharp. The 1440p resolution of the Acer G257HU allows for gaming with higher fidelity, as well as increased workloads during the day. It's not the most advanced screen on the market, but it'll get the job done without question. This display isn't the cheapest on the market, but it's one that is worth every penny and remains far more affordable than all other options here. Sporting a resolution of 2560x1440, this Acer monitor will let you get much more done without having to spend more on features you may not use. 1440p resolution? Check. 165Hz refresh rate? Check. 1ms response time? You got it. Support for NVIDIA G-SYNC technology? Game on. As well as being a stellar display, the unit sports dual USB 3.0 ports and can connect to devices using various options. Own an NVIDIA GPU? This is the monitor for you. ASUS has included NVIDIA's G-SYNC technology, which allows the monitor and your GPU to communicate with one another directly, allowing for a synchronized output, matching the refresh rate of the display with your current frame rate. This makes for a vastly smoother visual experience. Our AMD FreeSync pick goes to AOC. The latest AG273QCX is part of the company's third-generation of gaming displays and comes rocking HDR and FreeSync 2 support. You have a 144Hz refresh rate, a response time of just 1ms, and a VA panel to make everything look great on-screen. AMD GPU owners shouldn't feel left out when it comes to gaming monitors as the company supports FreeSync, which does something very similar to NVIDIA G-SYNC, synchronizing everything sent to your display for smoother gaming. It also helps that the AOC AGON AG273QCX is a very good display overall. This ultra-wide 21:9 Samsung CF791 panel is the perfect size for those who desire more screen real estate to get more work done. As well as offering more space to fit more windows, this widescreen monitor with its 4ms response time is also a fairly solid option for gaming, thanks in part to the 100Hz refresh rate. When you want something a little different, Samsung's CF791 may be just what you're looking for. It's a curved display, which will appear to wrap around you ever so slightly, and being from Samsung, the panel itself is excellent, allowing for some great color reproduction. We'd recommend those seeking a new monitor for gaming and/or work to invest in a 1440p panel. Dell's UltraSharp U2719D offers IPS technology, solid colors, great clarity, and connectivity in an affordable package.